After previously launching on PC VR platforms, PlayStation VR adventurers may be interested to know that The Mage’s Tale is now available offering a “highly immersive dungeon-crawling” RPG from inXile, designed from the ground up for virtual reality. Check out the original launch trailer and accolades trailer for PlayStation embedded below to learn more about what you can expect from the 10+ hour dungeon crawler RPG set in the world of The Bard’s Tale. – Your HP can be refilled by health potions, but it is not automatic. You have to drink the potion by bringing it to your mouth (or pouring it all over your head). – Your “Inventory” is a magic frog, Fergus, that you feed your items on your adventures. – To craft new magic spells, you combine spell ingredients in a cauldron and stir them up. To equip that spell you have to grab the spell and place it into your spell book. – “Options” is a physical table that you can interact with. 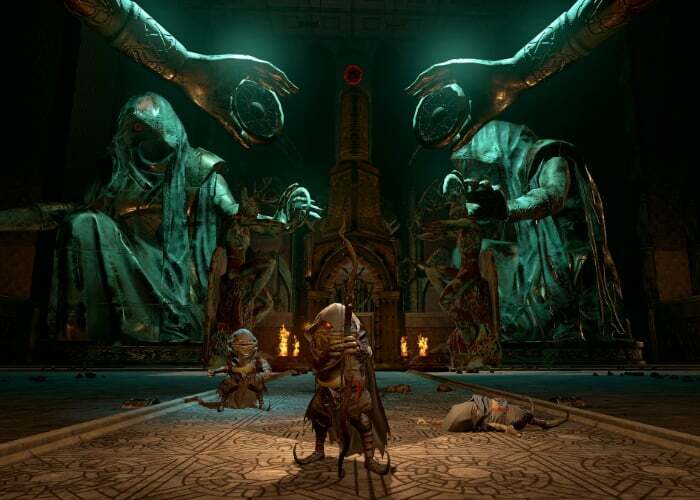 For more details jump over to the official PlayStation blog where David Rogers Lead Designer, inXile explains more about what you can expect from the Mage’s Tale virtual reality adventure.